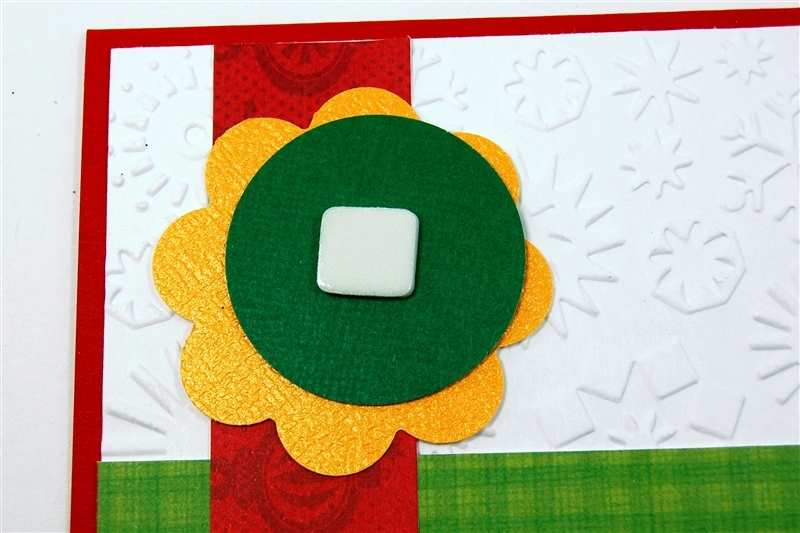 Hello again - it's time now for the Tuesday Challenge for Peachy Keen Stamps. Thanks so much for all of your kind words and comments here and on the Peachy Keen blog. If you saw my post earlier this morning on the email feed you saw a sneak peak at my card that is now posted for the challenge. Here is the full card from this morning's sneak peek. The Tuesday Challenge is Sketch Challenge 55. For all of the details, please click over to the Peachy Keen Challenge Blog HERE. I don't usually work from sketches but I enjoyed making the card for the challenge. I actually made a second card which I'll share here. 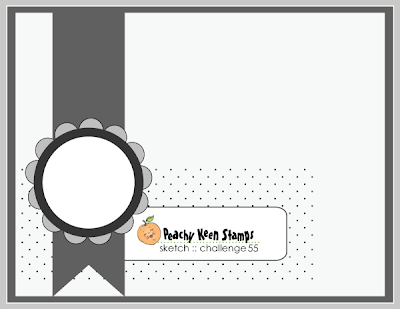 For all of the details on the challenge card with the Santa, please see my post on the Peachy Keen Blog HERE. 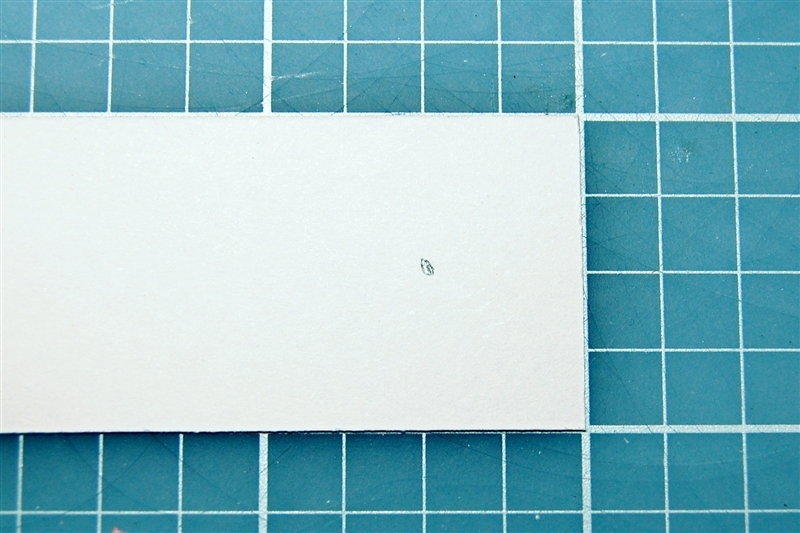 For my second card, I made a smaller A2 size card. 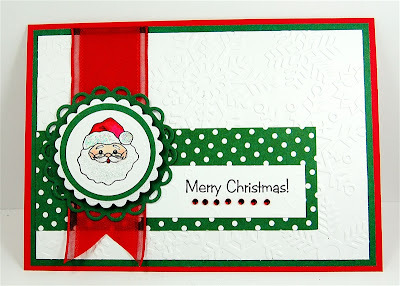 I chose this set, PK-322 Christmas Tag Minis as the set to feature because it had so many great icons for small projects as well as sentiments as well as "to" and "from" for making tags. This adorable little bird is the featured image for my second card. 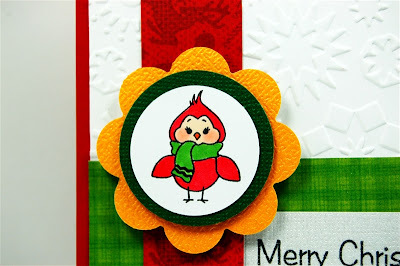 I used the Creative Memories Scalloped Circle and regular Circle punch in two sizes for the green mat and the bird image. This little fellow was easy to color with my ProMarkers. I used foam squares to add dimension under the green layer and the scalloped circle which was punched from pearlized gold American Crafts cardstock. 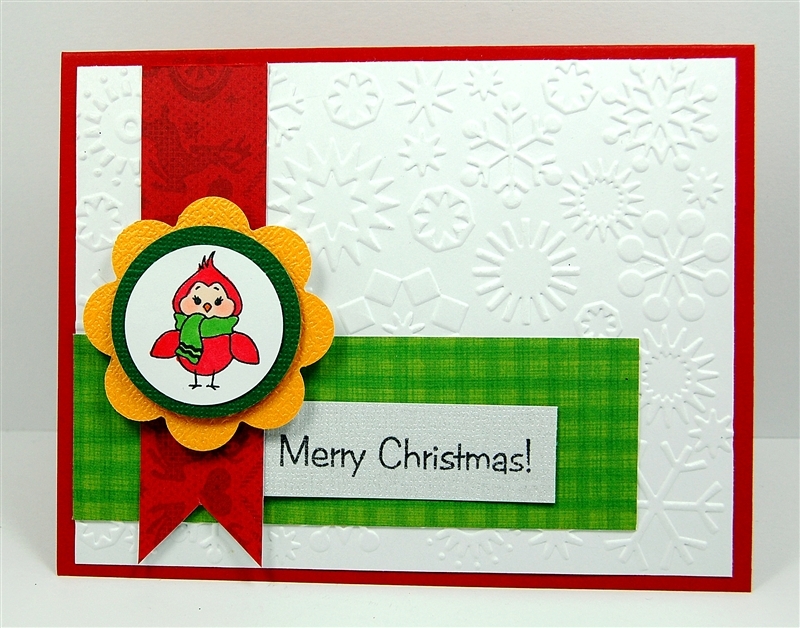 The white background layer is embossed with the Snowflake Cuttlebug folder. 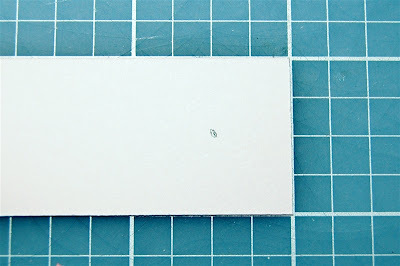 I stamped the sentiment on a scrap of Core'dinations white gemstone cardstock. It stamped neatly on the textured surface. The red and green printed cardstocks are from a DCWV Christmas stack. Here are some of the other images from this set. 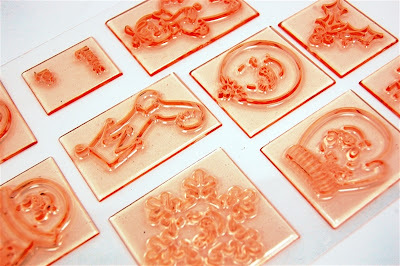 The peachy color of the stamps is so appealing - it just makes them fun to use! I have found that these stamps take ink incredibly easily and stamp perfectly the very first time. The images on the stamps are very firm and you do not have to apply a lot of pressure to get a good stamped image. Here is one little tip about cutting the tail of the vertical piece in the sketch. 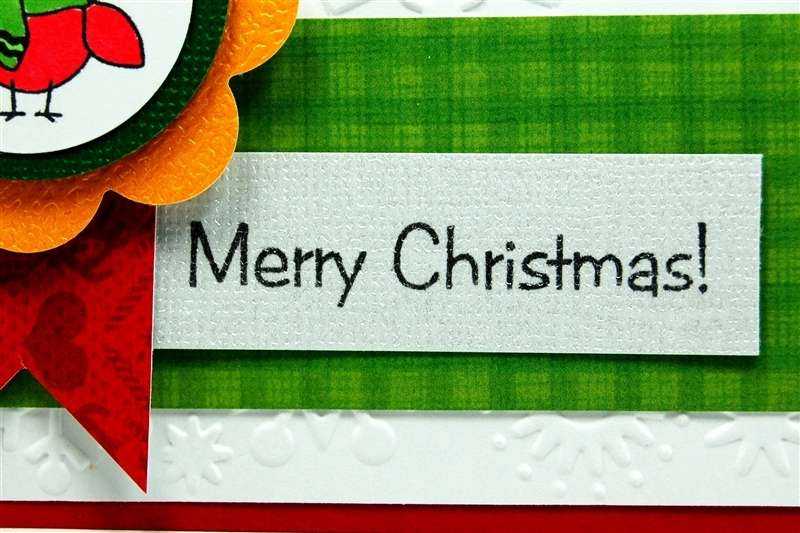 For the Santa card, I used ribbon and you can simply fold it in half and cut the tail. I didn't want to fold the cardstock so I lined it up with the grid on my mat and drew a pencil dot in the center at one half inch from the bottom. Then I simply snipped from each corner to the pencil dot. Thanks for stopping by today and don't forget to leave a comment here and on the Peachy Keen Blog to have a chance to win this great "Blushing Bride Interchangeable Faces" set (PK-590). I hope you have a great day! I'll be back tomorrow with some more "peachy" projects! These are so cute. I love the look of these! Great work, as always. Thanks. Great cards, great sketch, great job and great stamps. AND Great giveaway. Thanks for the chance to win. Just ran off the #55 challenge and I'm off it see what I can some up with. Can't wait to try. I just love the cards!! I love every added detail! Thanks for posting close up pictures as well! Sometimes the details are hard to see in the whole card picture. I am in love with that little Santa! Super cute!! The PK faces always add such whimsey to my cards. I don't have this set, but sure looks cute. You did a great job on these Christmas cards. Such an adorable card. I don't have any of the Peachy Keen Stamps other than a couple of the face stamps. I love the images! What fun cards Diane! It is 98 degrees here--a little hard to think about Christmas! Thanks for the "cool" diversion! I really love the cards and the Christmas set. I don't think I have seen that one. TFS Great cards. I can't believe Christmas cards already then I realize it's only 5 months away I better get going. That looks like a fabulous set of stamps. They are just adorable. Oh My!! How cute is this card!!! I love that little bird. That set is SO versatile. It's lovely to have you join us the DT this week Diane. Great card. 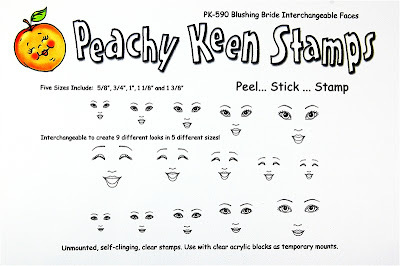 I love Peachy Keen stamps and would love to win bride's faces. Nice cards, the Christmas theme really makes me think about how fast this year is flying by. I also like the look of that PK set.NEVER saw it before will have to check it out. Adorable!! Love the birdie card too! That one makes me smile!--Pat N.
These look like something I could attempt. Love 'em! Love those Christmas cards! I may have to break down and buy those stamps! They are so adorable. Thanks for sharing your wonderful ideas and your talents with us. I've gotten a bit hooked on challenges this summer and did this one as well. It's a little ice cream cone "Treats!" card. The sketch following is making me do things outside of my usual layout mode and that is really good for me. Can't wait to see whatelse you've got going for the week! What an a adorable Christmas card. Love all the details! TFS! these cards are just the cutest i've ever seen. tfs. Both of your cards are absolutely darling. Love the little penguin. The cardinal is cute, but I think I like Santa better. I love seeing the same card with slight variations. Great job. Love your cards, and thanks for the tip on cutting ribbon. I love everything you do and really appreciate all the detailed instructions. Thanks so much. You have created such wonderful Christmas cards with these stamps, Love them! Great cards! I love the bright colors and the clean look! TFS! These are really beautiful cards, love the images and the bright colours. A little mental heat releif! Thanks. 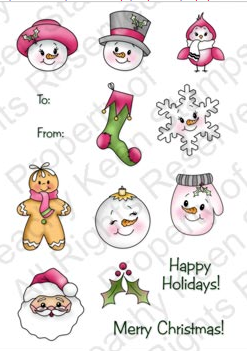 Cute Xmas cards! I love this card sketch! Great projects and instructions as always!